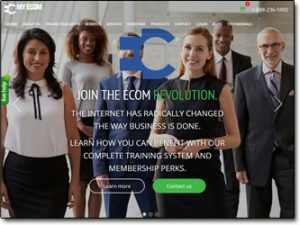 You’re led to believe that even without technical experience or marketing know-how you’ll be able to simply sign up, follow the training & build your own successful e-commerce business… But is it actually legit, or is My Ecom Club a scam that’ll ultimately just see you spending more money than you ever manage to make? What Exactly Is My Ecom Club? As I briefly touched on above My Ecom Club is a program that claims to teach people how they can start a profitable e-commerce business – plus on top of that they also claim to offer various “done-for-you” solutions too. According to the website the whole thing has been put together by a guy named Rocky Lin who’s supposedly an “e-commerce powerhouse” & industry leader – but as you’ll soon see in my review that’s likely not true. You’re led to believe that even as a total newcomer the step-by-step training Rocky’s put together will walk you through the entire biz-building process, right from choosing a niche all the way through to actually launching the store on the web. You’re led to believe that the person who’s put all of the training together is named Rocky Lin & that (according to their website) he is an industry leading “e-commerce powerhouse”… Yet there’s absolutely no information to be found about him anywhere online. This is a little odd in itself – I mean how can you be an industry leader if nobody actually knows who you are? But what’s even more worrying is the fact that the name sounded familiar & eventually it clicked in my mind… Rocky Lin was the same name that was used in the My Secret Sites scam that I previously exposed on this blog around a year ago. The way I actually discovered My Ecom Club was through something called Free Biz Account which was basically an extremely misleading sales pitch that pretty much “tricked” you into buying My Ecom Club. The Free Biz account system claimed that you were going to get access to a free program (which later turned out to cost $97) and the creator claimed he would personally invest $200 to help you get started (which was just another lie). After spending the $97 on the Free Biz Account system which promised you easy riches you were merely left to find out that what you had really bought was the My Ecom Club Gold Membership… A kind of “scammy” sales approach if you ask me & it’s safe to say it certainly made me a lot more sceptical about the whole thing. How Does My Ecom Club Work? 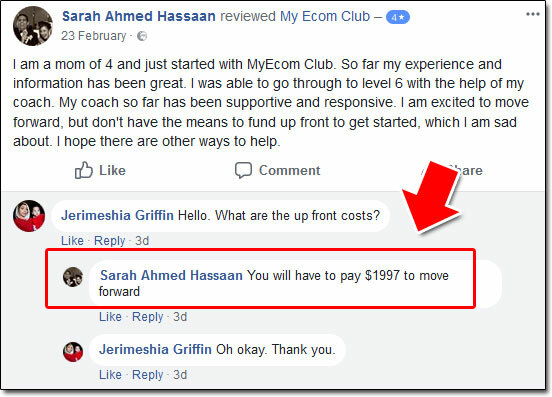 Well after doing some further digging it seems that the My Ecom Club program does indeed provide legitimate training BUT it’s what’s known as a high-ticket program which means it’s very expensive. And this where the coaches come into play – because whilst you’re offered a “coach” with your membership, in reality the coaches are very likely just sales people who are there to nudge you into spending more money. So with her now being involved with the My Ecom Club program (according to a customer review left on Facebook) I would imagine that the whole “coaching” thing is operating the exact same way it did over at Digital Altitude… It’s likely that she’s just “jumped ship” so to speak now that DA has been closed down. I don’t know why he’s decided to create a fake alias & keep himself hidden from the My Ecom Club website… But in my opinion it’s worrying to say the least. So Can You Make Any Money With It? Well to be honest it’s hard to tell – I mean yes, if the training is high quality then it could certainly put you on the right path to building a successful e-commerce store… But ultimately the trainer is an unknown guy named “Rocky Lin” so how do you know you’re learning from someone who’s actually found success? So as far as I’m concerned there’s just no reason for you to risk your money in a program like this when you could just get started with a legitimate & proven program like Wealthy Affiliate instead – a program which also doesn’t involve any crazy investment. 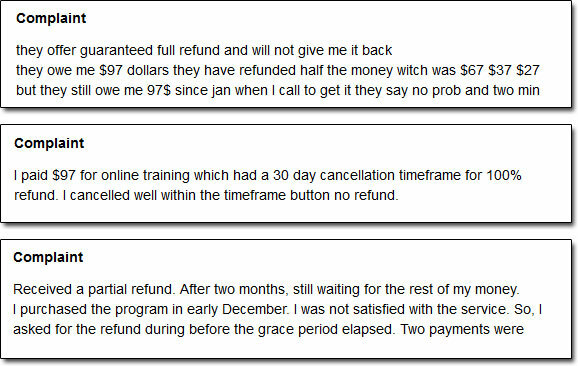 There’s also a lot of complaints on the BBB about people struggling to get a refund after finding themselves disappointed with the program too. 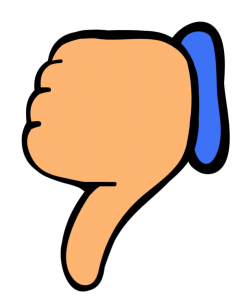 My Verdict – Is My Ecom Club a Scam? Well it’s not a scam as such since they do seem to provide legitimate training – but clearly there’s a lot of hidden extra costs involved & overall in my opinion I think the whole thing is just hard to trust. Not to mention that the training which your success with the program is entirely reliant upon has supposedly been put together by a random unknown guy allegedly named “Rocky Lin” who has no background whatsoever. I mean sure, if this training had been put together by an absolute expert who had a proven track record of creating super successful e-commerce business then maybe it would be worth it’s high price tag of $1,997+, but as it is there is just no way I could possibly recommend spending that amount of money on this thing. And like I mentioned earlier in this review as far as I’m concerned I just don’t see any reason why you would want to risk so much money with the My Ecom Club program when there are already several proven, reputable & legitimate programs out there like Wealthy Affiliate that can help you get started properly. Crypto VIP Club Review – Scam or Legit Software? Auto Home Profits Review – Too Good To Be True? What Is MTTB? Is It a Scam System? My Review Exposes How It Really Works!